We're always cooking something up at Casa Minx. Most of the time dishes are successful, but there's an occasional dud. And then once in a while we strike culinary gold and turn out something that goes into the permanent rotation. Here are some of those dishes from 2012. 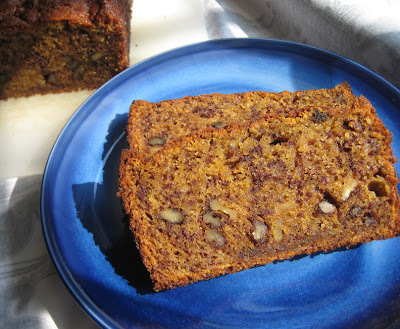 Curried Banana Bread - sounds weird, but curry and bananas are a perfect combo, with the spice lending just the right amount of je ne sais quoi to the sweet treat. 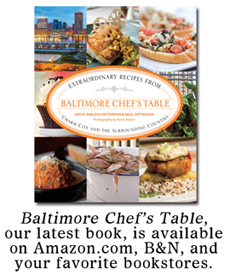 Cheesy Meatballs - After receiving a bag of cheese cubes from a manufacturer, I felt the best way to utilize them was to pack them into turkey meatballs, where they added an extra savory punch to the lean meat. 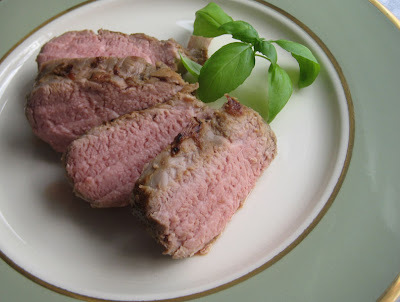 Sous-vide Pork Tenderloin - the best tenderloin EVAR, cooked with garlic and love and time in the SousVide Supreme. 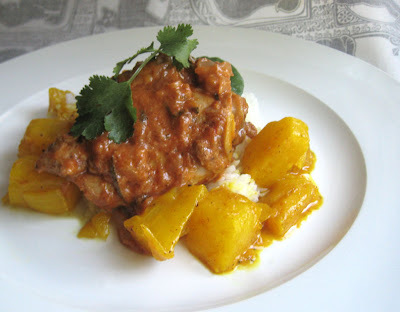 Butter Chicken - We love Indian food, but we seldom dine in Indian restaurants. Sometimes it's just nice to make it at home. 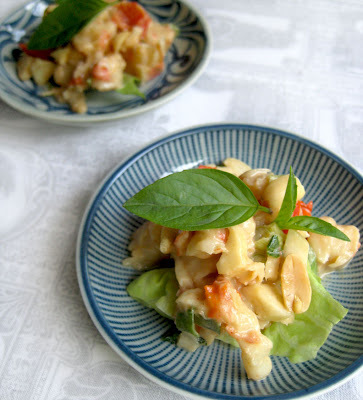 Shrimp Salad with Thai Flavors - Shrimp, Thai basil, and peanuts made for a flavorful summer salad. 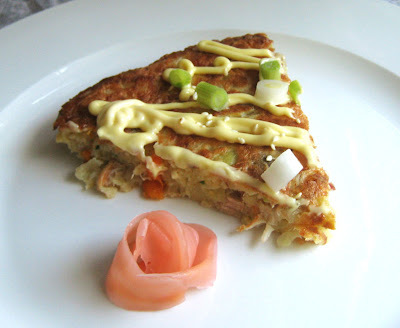 Okonomiyaki - a visit to a new Japanese restaurant in town got me salivating for this traditional Japanese "junk food." Making it at home is easy as pie. 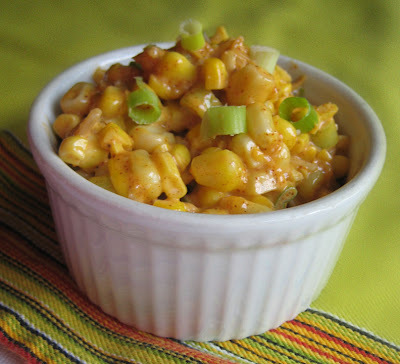 Esquites - despite not knowing how to properly pronounce the name (hey, I took French in high school), and not having half the necessary ingredients on hand, we turned out quite the tasty mayo and corn concoction. 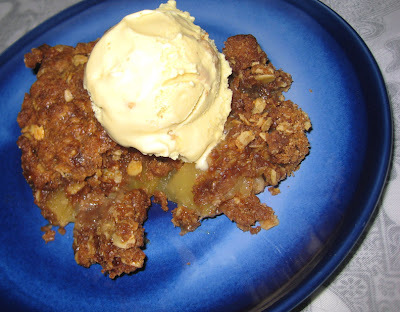 Apple Crisp - when Fall comes, I go apple crisp mad, trying several recipes in search of perfection. Turns out that the simplest is usually the best. 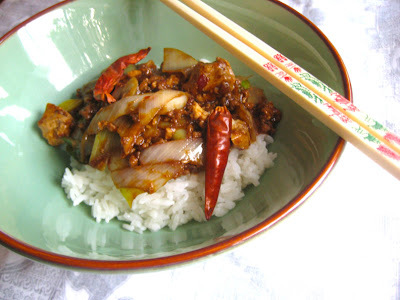 Ma Po Tofu - this mixture of tofu and ground meat may seem like a bad way to use tofu, at least to vegetarians, but it's actually a perfect way for non-veg people to try the soy protein. In other words, it's delish. 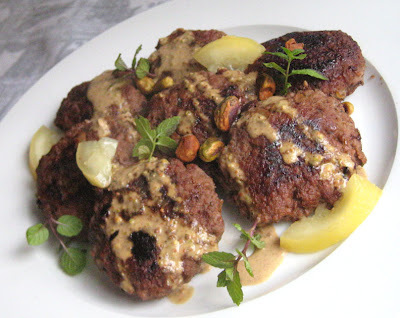 Kofte with Pistachio Sauce - I bought one of the formidable Silvena Rowe's cookbooks after seeing her on the execrable but oh-so-recappable Time Machine Chefs, and it did not let me down. 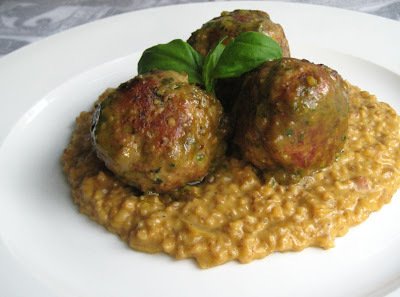 I drool when I think of her spicy lamb kofte, and look forward to whipping up another batch soon. 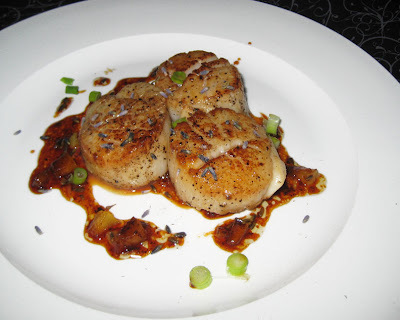 Scallops with Lavender Honey Brown Butter - while lavender and scallops might seem like odd bedfellows, they actually work together quite nicely, especially with lots of sweet butter sauce. One of the few times this year I really felt I got my money's worth out of scallops, and of course it's because I made it at home myself. 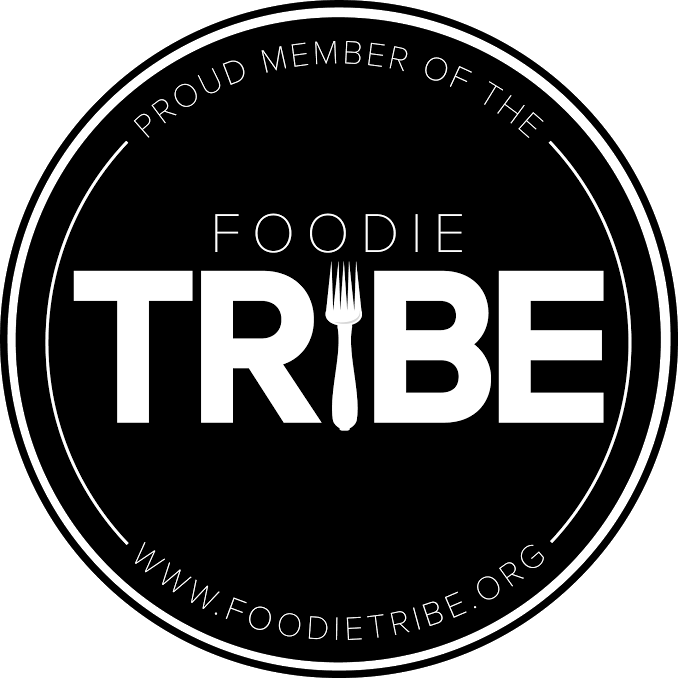 I hope you feel inclined to try some of these recipes for yourself. 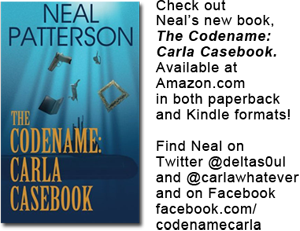 If you do, please come back and leave a comment on its corresponding post!